Ease of operation has made automatic transmission vehicles more popular in America than manual transmission vehicles. Anyone that has ever driven a manual (used to be called “standard”) transmission knows how much fun they are! In either case, it is essential that you follow manufacturer recommendations for transmission service. 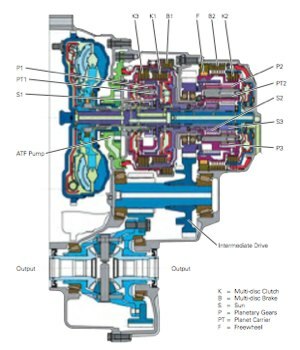 Although Volkswagen touts their “lifetime” transmission fluid, the fact is, most mechanics will strongly recommend you schedule a Everett VW Automatic Transmission Service before you drive 40,00 miles. While it is obvious that the heart of a car’s power is the engine, the circulatory system is the transmission. The transmission transfers the power generated from combustion in the engine to the car’s wheels. Whether your vehicle has an automatic or a manual transmission, the complex engineering of each must be maintained to extend the life of your vehicle. Automatic transmissions need Automatic Transmission Fluid (ATF) to operate. It is essential that you maintain recommended ATF levels for safe operation of your vehicle. Neglecting ATF levels will cause your transmission to fail! ATF replacement generally occurs between 30,000 to 50,000 miles. It is important that you understand the difference between ATF flush and ATF replacement. A pressure flush could create more problems than it solves by loosening sediment, allowing it to circulate through your transmission. The more intricate, time consuming process of a full ATF replacement is strongly recommended! This is the safest, most thorough method of replacing ATF. A full service may also include removing the pan and cleaning the internal portion, replacing all seals and gaskets at the same time. If shifting is rough, have your car’s transmission thoroughly inspected immediately! If ATF levels are low, always add fluid. Be aware that decreased levels of ATF could indicate a leak and your transmission should be inspected immediately!